June 10, 2015. 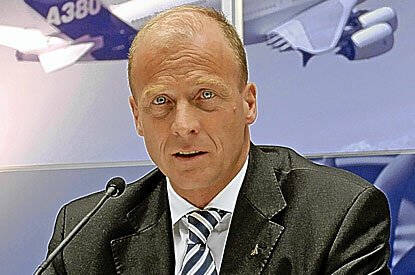 Airbus Group CEO Tom Enders provided an outlook on the company’s businesses during a meeting in Toulouse with AW&ST Managing Editor Jens Flottau and Paris Bureau Chief Amy Svitak (Aviationweek). In light of Dassault Aviation’s recent export sales of the Rafale combat jet, has your thinking changed in terms of the future of the Eurofighter Typhoonproduction line? We can make an attractive proposition. We build hundreds of airplanes every year. Why wouldn’t we be able to also build hundreds of satellites? It is a very exciting project. I’m looking forward to OneWeb’s decision. 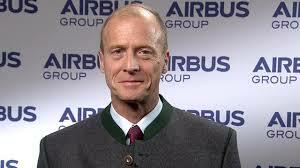 This entry was posted in News and tagged Airbus, CEO, decade, enders, foresee, introduce, need, new, next, not, program, tom. Bookmark the permalink.